Reno, Nev.Oct. 6, 2017. Washoe County Regional Parks and Open Space is excited to announce the “Fall Photo Hikes” series beginning Saturday, Oct. 14 at 12 p.m. If you enjoy hiking scenic trails, and love to take nature photography, then you will not want to miss the "Fall Photo Hikes" series. Join Washoe County Park Rangers as they explore some of our area’s most scenic trails. This series is meant to provide amateur photographers and hiking enthusiasts alike with the opportunity to capture their own spectacular fall photography while learning about what make the areas unique. Washoe County Park Rangers advise participants to bring a jacket, a sturdy pair of hiking boots, a bottle of water, a snack, and of course your favorite camera. The hikes, which are easy to medium in difficulty, will cover 3-5 miles in 1-3 hours, weather permitting. The hikes are family friendly, but please leave pets at home. There is no cost to attend. Saturday, Oct. 14 at 12 p.m.: Mt. Rose Summit Trailhead – Mt. Rose Trail. Meet at the trailhead parking area at the Summit of the Mt. Rose Highway. Saturday, Oct. 21 at 2 p.m.: Galena Creek Regional Park – Galena Creek Nature Trail. Meet at the lower parking area within the south entrance at 18350 Mt. Rose Highway. Saturday, Oct. 28 at 2 p.m.: Bartley Ranch Regional Park – Ranch Loop and Last Chance Ditch Trail. Meet in front of the Western Heritage Interpretive Center at 6000 Bartley Ranch Road. 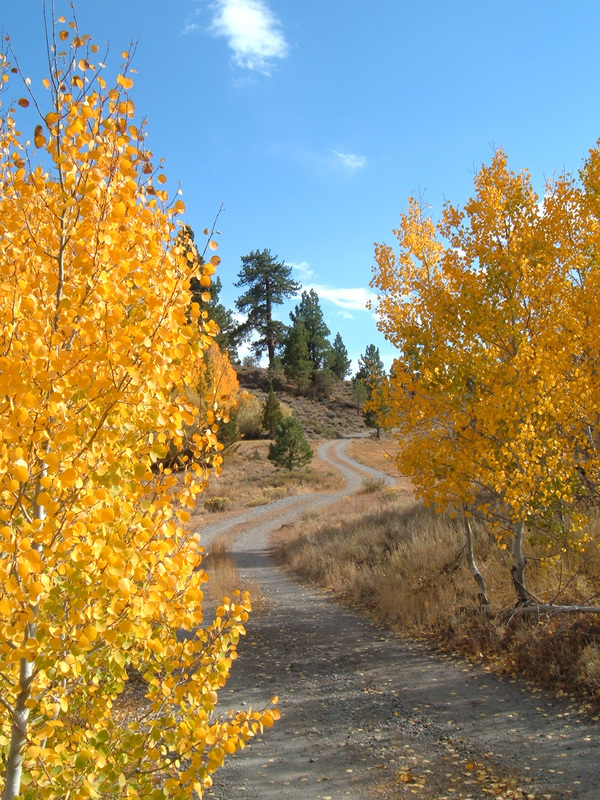 Saturday, Nov. 4 at 2 p.m.: Davis Creek Regional Park - Discovery Loop and Nature Trail. Meet at the overflow parking area across from the park office on Davis Creek Road. To RSVP for the hikes, questions or information about the trails in this series, please call 775-849-2511 or email: abrown@washoecounty.us. Any changes in the schedule due to weather will be announced on the Washoe County Regional Parks and Open Space Facebook page.